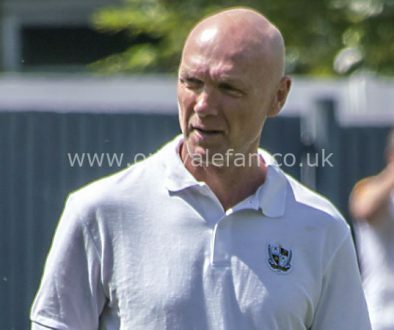 I am somewhat alarmed by reports that some fans have already called for manager Neil Aspin’s head after a week during which Vale conceded seven goals in two games. It’s ridiculous and I can only hope those calls were made in jest. In my view, Aspin is a honourable, loyal and admirable man to have in charge… He deserves the chance to show his ability over a sustained period. In those circumstances, his record of a 50% win rate is truly remarkable. 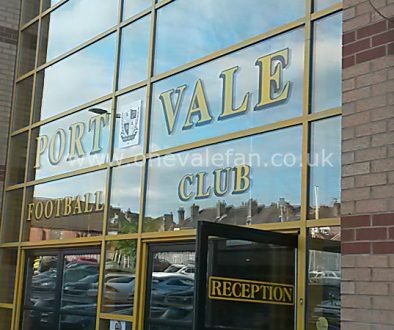 Vale may already be doomed but that is surely the result of poor previous management appointments and a terrible transfer record in recent seasons. Aspin will not be to blame if Vale do drop through the trapdoor. I think clubs are far too quick to sack their manager (I think the men in charge really need at least two transfer windows to show their worth unless things really are desperate) and fans are often far too quick to demand instant success. In my view, Aspin is a honourable, loyal and admirable man to have in charge. Quite apart from his “club legend” status helping to unite the fans, he has shown his managerial ability by trusting in James Gibbons and providing a service for Tom Pope upfront. He deserves the chance to show his ability over a sustained period. In local football, all three League clubs have arguably had their best spells when they trusted in a manager and gave them time to develop their style. Tony Pulis, Dario Gradi and John Rudge all brought success over long periods. If you look elsewhere you can see this method working – just look at the success that Sean Dyche and Eddie Howe are having. So, now is not the time to criticise the manager, now is the time to recognise the limitations he is working under. By his own admission he has a bloated, unbalanced squad which needs additions in several areas. He has been hit by injuries to key players notably Ben Whitfield. His hands in transfer market terms are tied. I am sure that given a transfer window, the Vale squad will look markedly different. It won’t be “job done” as it may take a lot to remove some players on long contracts but I think we’ll see a difference. 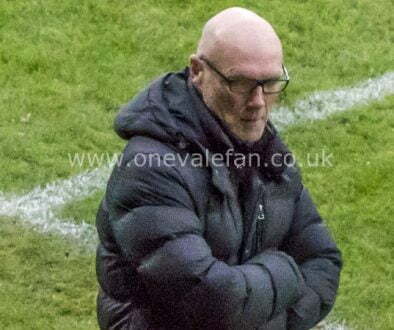 So, until the window opens, I think it’s time to back Neil Aspin and see if he can continue to upset the odds by getting results out of arguably one of the poorest Vale squads in years.